No, this is no longer appeasement. After the terrorist attacks in Paris, France and Germany do no longer try to hide their preferences. The last days, they have made steps that can only be called collaboration with the Russian terrorist regime. 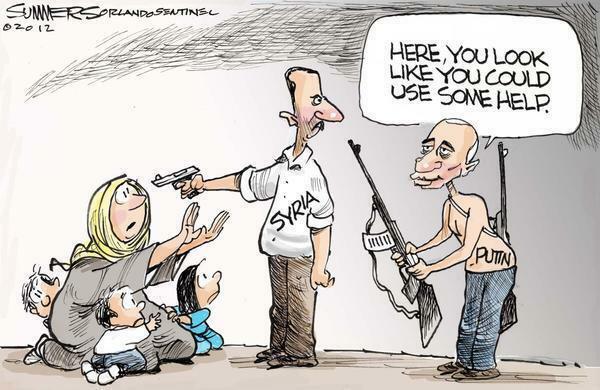 The French President Hollande flew to Moscow and joined Russia’s IS-coalition, a coalition that also is starring Syrian dictator Assad who has killed some 250.000 citizens of his country and the mullahs from Iran who still work on their main goal to nuke Israel. Astonished? It’s nothing more than Realpolitik. Well, Germany has more important interests, ones that go beyond military issues or the IS, issues such as “energy security”: Russia has been selected to guarantee the energy security for Germany, and North Stream-2 is an important big part of it. The gas pipeline would double the capacity to ship Russian gas directly to Germany, in particular skipping Ukraine as transit country; the deal is interesting, because it has Russia responsible for problems with transit gas – not Ukraine. 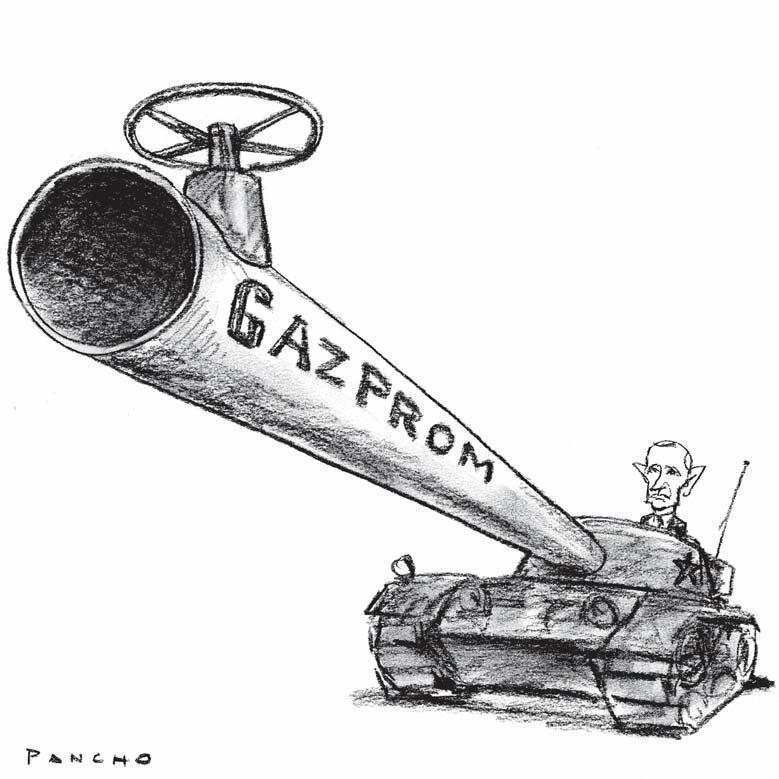 Gazprom additionally is about to get more access to gas trading and storage in Germany. Gazprom’s influence on German decision-makers must be considerable; German Chancellor Angela Merkel’s position on the issue also has not been convincing. As a result, 10 Eastern European countries have sent a protest letter arguing the project went against the interests of the EU at the end of November 2015. To renew German-Russian friendship ties (and to weaken the effect of the Western sanctions on Russia) another way has been found through the EU and the project of a common integrated economic area from the Atlantic to the Pacific. EU’s Commission President Jean-Claude Juncker sent a letter after the G20 summit in Turkey to the Kremlin in later November 2015 asking for cooperation with the Eurasian Economic Union. Foreign Minister Frank-Walter Steinmeier (surely an expert for economic free trade areas) followed to address the EU in this issue. The two most powerful men in the German co-governing social-democratic SPD party, Foreign Minister Frank-Walter Steinmeier and Vice-Chancellor Sigmar Gabriel, have continuously pushed for a “normalization” in the relationship with Russia. Steinmeier found it would be time to get Russia back into the G-8. For his part, Sigmar Gabriel has repeatedly tested the ground for cancelling the sanctions on Russia justifying it with Russia’s important role in Syria. Steinmeier also has become famous for his continuous “happy-talking” on Russia’s “fulfillment of Minsk agreements” (probably soon it will be joined by “Russia bombing the IS”), broadly ignoring the presence of Russian military command structures in the occupied territories of eastern Ukraine and the massive deployment of Russian military gear. Instead, SPD-members are pushing Ukraine to more than comply with its part of the Minsk agreements while Russia has not been fulfilling a single point of the agreement – see in this respect also the views of persons, such as the commissary for Russia in the German government, Gernot Erler (also SPD), practically identical with Russian positions, spread on German public financed media. This article will not go into detail on the tragic role of German mass media coverage on all those events, sufficient to note that Russia now has more government-critical media than Germany (partly due to the concept of “vorauseilender Gehorsam” developing destructive energy in times of social or political upheaval). There might be a Boris Reitschuster in Germany and a Bernard-Henri Lévy in France, the first revealing the real nature of the Russian regime and its propaganda, and the second an outspoken supporter of Ukraine. However, they are not representative. Better take the harsh critique of some French journalists of Poroshenko when he a few days ago stated that “the terrible events that France experienced this tragic November are a daily reality for Ukraine for almost 21 months.” French journalists found his words offensive – and by this only revealed they are showing far more understanding for their president joining Russia in an “anti-terrorist coalition” than for Russian terrorist attacks and Russia’s war in Ukraine. Consider this as last proof that France and Germany are not the best allies for Ukraine. It is high time for the Ukrainian political leadership to detach itself from “Normandy“, and to reconsider its strategy for the occupied Donbas. PS. See EU’s Juncker’s advice about how to deal with a terrorist leader: (1) his recommendation to treat him properly and as equal and (2) how to implement it in action.